This is a book about the business of space. It is indeed the first such book to explore the creation of the whole new field of commercial space exploration, previously considered to be an oxymoron. The book anchors the story on historical developments which transformed the original governmental and military space program into the successful satellite communications and broadcasting business. It then builds the case for moving forward to the next stages leading to full commercial space exploration, with space tourism and therefore commercial space transportation being the key to this paradigm shift. Originally the commercialization of space was limited to various kinds of satellites, but now the march of history is bringing a manned (or rather “crewed”) spaceflight regime into its remit. The author has been involved in all these phases of development as a business insider, and is currently one of the international judges of The Google Lunar XPRIZE which is using prizes to kickstart lunar commercial business. Derek Webber has, over a 50-year span, been involved in many of the significant developments of commercial space. He is a published author and has been Head of Procurement at Inmarsat and Managing Director at Tachyon Europe, both companies engaged in the satellite communications business, and is a former satellite and launch vehicle engineer. As the Director of Spaceport Associates, he developed key space tourism market research data, and is currently one of the international judges of the Google Lunar XPRIZE, while also presiding over the “Gateway Earth” space policy initiative. 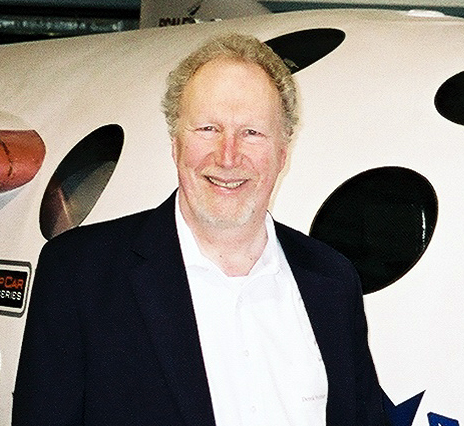 “Webber reviews both traditional and new space businesses in his book. He argues that the traditional businesses have reached their limits: growth in the relatively mature market of satellite communications has slowed, while government initiatives are stymied by budgets unlikely to return to the levels seen in the early Space Race. What’s needed for the space industry to grow is for it to transition to new markets. Space tourism, he believes, can support that transition, enabling the development of other markets. “This is an engaging, well-written, and fact-filled book regarding commercial space exploration … taking a no-nonsense look into space engineering, marketing and finance along with other business aspects. The volume also serves up fascinating projections into the future – specifically, lunar commerce, asteroid mining, space solar power, as well as space settlement.